More planning and preparation this week, for what is becoming known as Clapham Book Day, to take place on Saturday 6th May, 2017. 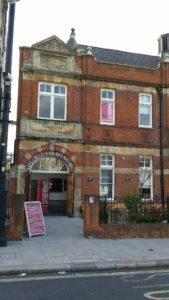 We are beginning to formulate what claphamwriters hope will be an interesting and entertaining programme of events, happening at Clapham Omnibus ( Clapham’s Arts Centre), Clapham Books and, if possible, other venues. Most of the items in the afternoon and evening are likely to be taking place at Omnibus. 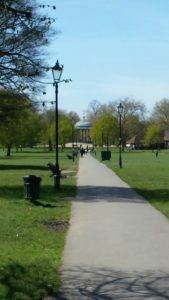 Learning from our experiences with Clapham LitFest earlier this year, when sessions were spread out over seven days, we have decided to concentrate on one weekend only and focus, at least at first, on a single, if very intense, Saturday. We hope for a morning session and maybe a lunchtime session in the garden at Clapham Books, weather permitting. Then we take over the theatre and bar area of Omnibus, until late, as part of the Arts Centre’s month-long programme of performances with a literary theme. Again, learning from this year, the most popular items (and in my humble view, some of the most interesting) were those which brought writers together to discuss their writing or on a specific topic. 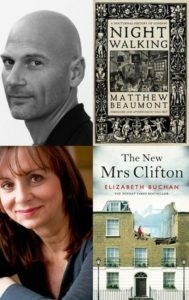 So ‘Place and the Writer’ with Matthew Beaumont, Elizabeth Buchan and myself, or ‘Crime in the Afternoon‘ with three eminent lady crime writers. So the programme this year is going to focus on different types of books and writing leading up to a ‘headline’ evening session. Historical fiction, crime writing, spy and thriller fiction are three possible options as is a session on writing and getting published. It is also the 65th anniversary of the publication of Graham Greene’s ‘The End of the Affair’, set in Clapham, so that may also feature. Also learning from last year, we have managed to attract a volunteer communications specialist. One of the most common comments at the various sessions last year was ‘We didn’t know about that (other session) otherwise we’d have come along to that too.’ Relying on other people to do publicity for us wasn’t effective, so this year we’ll be doing a lot of our own, with the help of Penelope, also a Clapham resident. 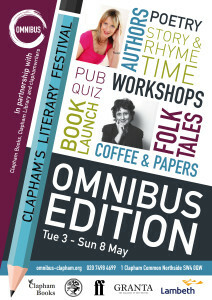 We’re already hunting for partners and sponsors, something which we didn’t have time to do for Clapham LitFest. The other element which we didn’t have time for earlier this year was community engagement, not just during, but before and after the event. Some ideas for 2017 so far considered include a ‘Clapham Literary Walk’ in partnership with the Clapham Society and ‘This is Clapham’, and possibly engaging with local schools and children in a ‘design a logo for Clapham Book Day’ competition. As ever, there’s lots of work to be done, with the creation of a dedicated web-page and e-mail addresses, linking to the Omnibus ticketing page, features on the writers taking part in local and, if we can get it, national, media and lots of use of the ‘social’ variety. Watch this space. This entry was posted in Culture Vulture, London, Writing and tagged London, Writing & publishing by juliej. Bookmark the permalink.